We will pick up on the state of Red Sox position by position around the roster before the winter meetings arrive in a couple of weeks. Recently during the General Managers Meetings in Arizona Sox boss Dave Dombrowski succinctly summed up the state for the Red Sox starting outfield listed above: "entrenched for a long time". 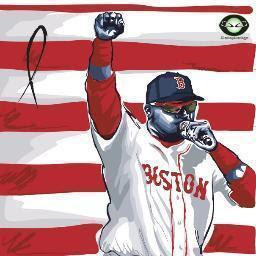 Despite the likelihood of other teams asking for Benintendi or the never dying rumor of JBJ being the centerpiece of a Chris Sale trade (with Benintendi taking over center field), it is very, very doubtful Dombrowski will break up his self described entrenched outfield. Having a major league caliber defensive center fielder manning all three garden spots can only be a big positive for Boston going forward. Especially when all three can also be All Star caliber offensive assets as well. Chris Young is nearly as entrenched for another year as the fourth outfielder who can rake lefties especially. Brock Holt can fill in from time to time in his utility role as well. Brentz showed he could be a capable platoon outfielder in a brief mid-2016 cameo, but his days in the Boston system will likely end before spring training rolls around. Yoan Moncada is thrown in here as more of a long range outside possibility. There are some scouts who feel Moncada cannot play either second or third well enough for the big leagues and will end up as an outfielder. I am not sure if I buy this, but if ever did come to fruition down the road, that is when JBJ could be dealt, but not this winter. Despite those Chris Sale rumors mentioned above, Dombrowski seemingly threw a big bucket of cold water on Sale (or any other name starting pitcher)being acquired in this hot stove season. Several Dave D. quotes again from the Arizona bases GM meetings included: "Starting pitching not much of a priority", " I would be surprised if we traded for a starter", " We are not in the market for a starter, because of the six guys we all ready have". Let me remind you last winter Dombrowski was very forthright with the Sox needs he looked to fill.Take Dave at his word, the Red Sox are not adding a starting pitcher of any renown. Your definite front three are David Price, Rick Porcello, and Eduardo Rodriguez. When Porcello won the Cy Young Award this past week, he made a telling comment, admitting how much pitching in Boston bothered him his first year, 2015. And Porcello is not the first to rebound in recent years with Josh Beckett and John Lackey being two other notable cases. If David Price follows that path and shines in 2017 ( and that is a very strong possibility) this could take any pressure of Porcello to repeat his Cy campaign.But since Porcello only turns 28 two days after Christmas, he should still have several prime years ahead of him. And Rodriguez, who turns 24 on April 7 next spring, now has the better part of two MLB seasons under his belt and is a strong candidate to blossom. The other three starters: Clay Buchholz, Drew Pomeranz, and Steven Wright will compete for the last two rotation spots with the odd man out holding a bullpen job. Due to the nearly total lack of starting pitchers in the free agent market this winter, there is some speculation teams may coming asking for Buchholz. If Boston was overwhelmed with an offer the may move Buch, but with only the three younger lefties (Owens, Johnson, Elias) as depth I think Dombrowski hangs on to everyone through the winter at least. Kopech, who was dominating at times in the Arizona Fall League, will begin 2017 as the top of the rotation starter for the Portland Sea Dogs. Kopech will be making his AA debut, so a big league appearance in 2017 is far from a lock. But if Kopech treats the Eastern League at age 21 the way he did the AFL, he could see Boston next year. Remember this about Dave Dombrowski, he is not afraid of bringing quality young starters to the big leagues. In 2009, after only one minor league season, Dombrowski and the Tigers put their 2007 first rounder in their rotation at age 20. That pitcher was Rick Porcello. Three names not listed from the 2016 are three pitchers who are now free agents : Koji Uehara, Brad Ziegler, and Junichi Tazawa. Tazawa has been worked by the Red Sox over his career like a rented mule, and barring a major surprise his days in Boston are over. Thank you Junichi for the big outs over the years, especially striking out Miguel Cabrera in the 2013 ALCS. As the season ended in 2016, most observers felt the Red Sox would like to bring both Koji and the recently acquired Ziegler back as bullpen depth. Many felt Ziegler would rather find a closing job elsewhere, but if not both he and Koji would be open to a return. Either these speculations were wrong or something has changed. Again from the GM meetings, no direct quotes but every Boston beat writer was reporting "no enthusiasm" to bring back any of the free agents. Instead Dombrowski talked about a power arm, shut down type pitcher needed to pitch eighth innings in front of incumbent closer Craig Kimbrel. There are major free agent closers on the market, but they are not coming to Boston ( or anywhere else) to pitch eighth innings and not close. Names heard most often are two stalwarts of recent championship Royals bullpens: Greg Holland ( as a free agent) and Wade Davis ( who is reportedly available in trade). If the Red Sox get fortunate they may have an in house set up man for Kimbrel. The pitcher who was acquired a year ago: Carson Smith. Smith who underwent Tommy John surgery last June, is expected back in June or July. That alone would be a great mid season boost. But the Arizona air must have made Dave Dombrowski talkative, because while holding court at the GM meetings, Dombrowski opined Smith being ready for Opening Day was not out of the question. Joe Kelly and Matt Barnes both throw in the high 90's and could be the needed eighth inning guys. Kelly was finally assigned to the bullpen after Boston trying to make him a starter for two years. Kelly was very effective in his late season audition. Barnes had an up and down 2016 as he also converted full time to relieving, but also finished well late in the year. Hembree will be out of options in 2017, so he will make the Sox pen or have to be traded. Workman after missing nearly all of 2015 and 2016 could be a surprise contributor if healthy. Ross Jr., Abad, and former Indy ball pitcher, Robbie Scott will compete for one or two spots for a lefty. Abad, in particular, needs to be used strictly as a lefty on lefty specialist if he has any hope of helping. Soon the winter meetings will be upon us. As they near we will discuss the Sox Hot Stove rumors more in depth. 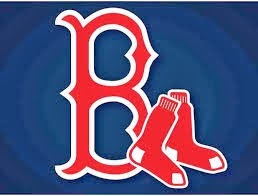 But as an early prediction, I think the Sox will be relatively quiet, adding the needed bullpen arm and some type of DH. Neither may be a big name addition.